I’ m speaking to you my stomach overfull of milk chocolate, hazelnut, Nutella and strawberry—Excuse my writing I can’t afford to focus much, I feel like I’m about to explode. However, there isn’t much that I regret; I even want more of that taste of heaven. First, a Nutella “fondant” cupcake recipe inspired me and then I elaborated my recipe by taking inspiration from the infamous Californian chocolate-dipped strawberries. Et voila you make eight some California-tella strawberry cupcakes! Sounds big of a name right? It is even greater of a taste! 1 Preheat the oven at 200° C.
2- Put the ramekins to refrigerate to pull off a cake soft at heart. 3- Put the Nutella at room temperature until it gets a creamy texture then fill in 8 squares in a rubber mould. 4- Wash 8 strawberries and dry them each separately. Dip a strawberry in every part of the mould until it nearly touches the bottom. Repeat the same action for all the strawberries. Keep the mould in the Freezer for about 2 hours or the longest you can—I put them the eve. 5- Separate the egg yolks from the egg whites using the eggshells; keep the whites in a cool and dry place. Add 1 tsp of distilled white vinegar to the egg yolks and beat with the sugar in a bowl until the mixture whitens (using a food processor or an electric mixer). 6- Now smash the hazelnuts if whole and combine dry ingredients—the hazelnuts, flour and baking powder. Pour wet ingredients—yolks and sugar—into dry ingredients. After you mix them well, the mixture has to become homogeneous. 7- In a saucepan, melt the chocolate broken into pieces with the butter. 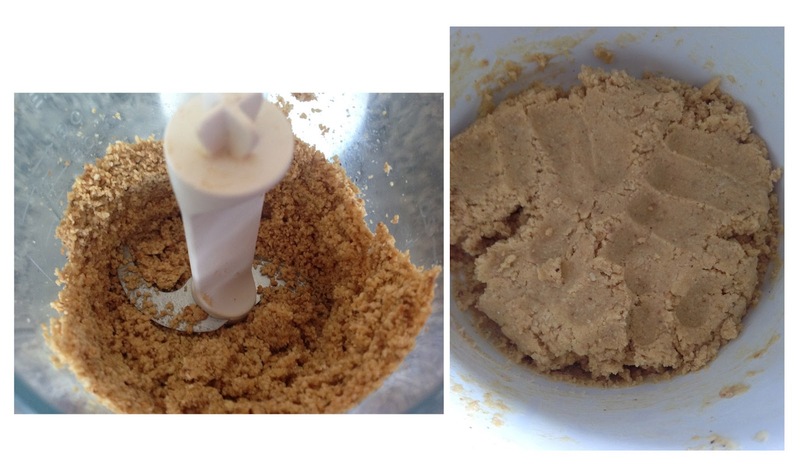 Stir together overheat and continue to until clear homogenous mixture forms. 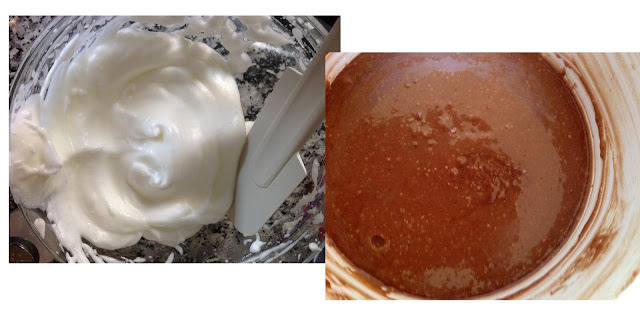 After that, blend the chocolate into the preparation evenly. 9- Place the ramekins in a big circular mould filled with 1 cup of water and pour the mixture into ⅓ of the ramekins. Get the Nutella-dipped strawberries from the freezer and get them out of their mould, one by one, and press them onto the ramekins in a way that they nearly touch the bottom. 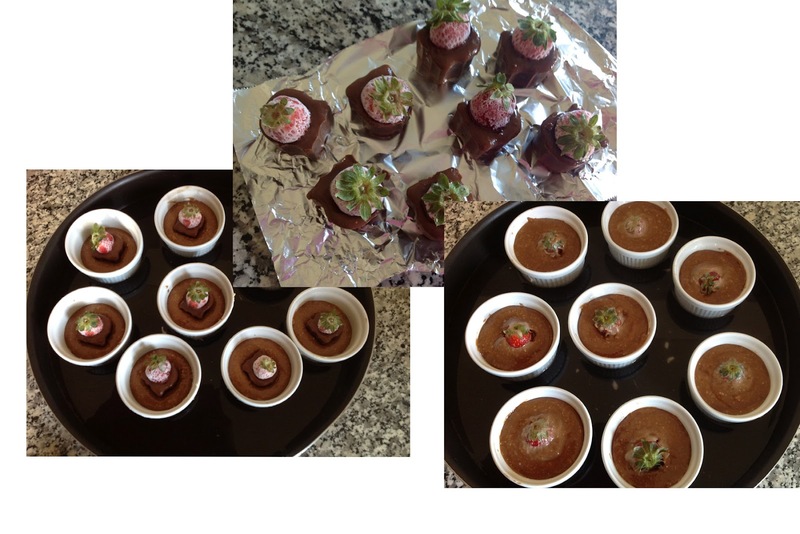 Finally cover them with another layer of the chocolate preparation in a way that keeps the strawberry visible.